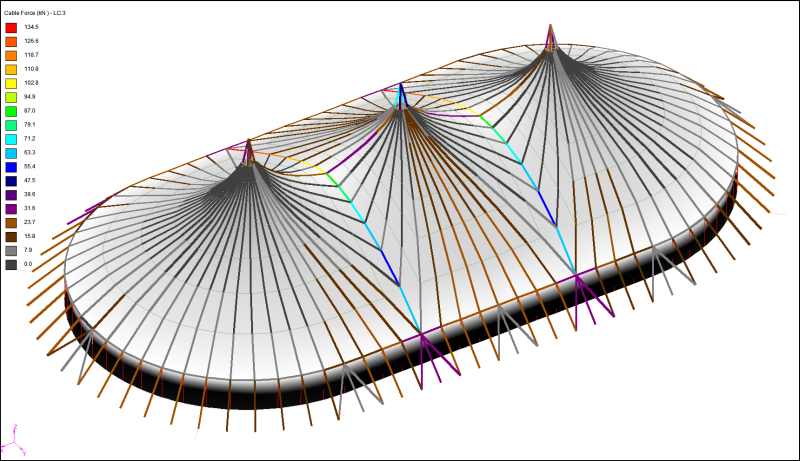 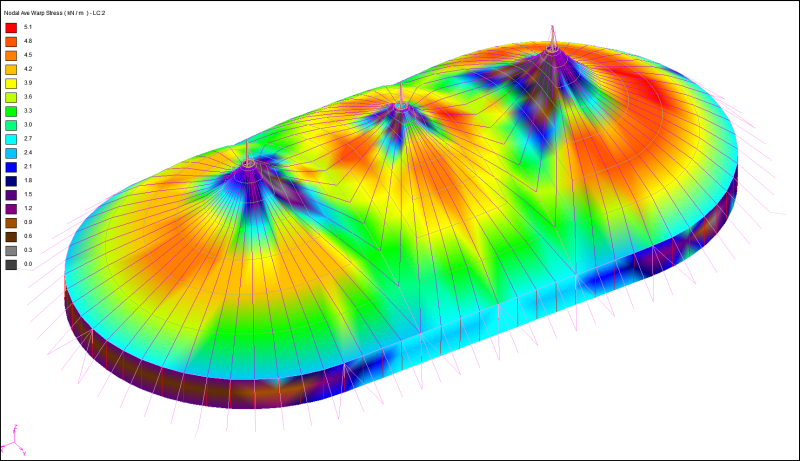 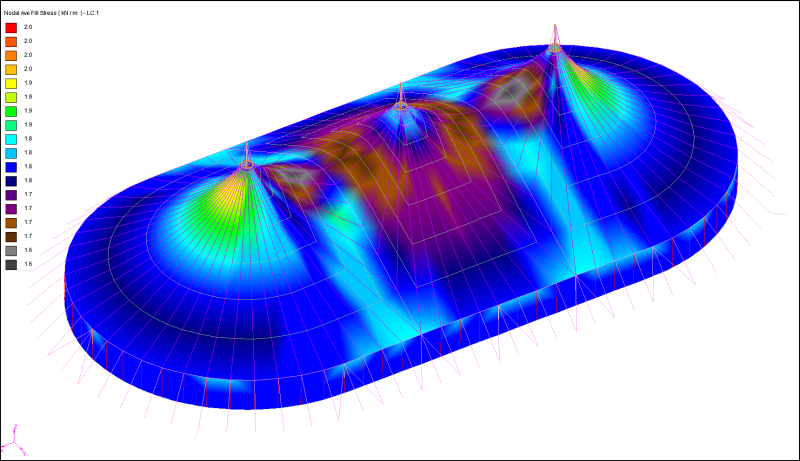 Images of analysis output for 5 load cases simulating different wind directions, uplift and downforce, cable, mast and membrane forces. 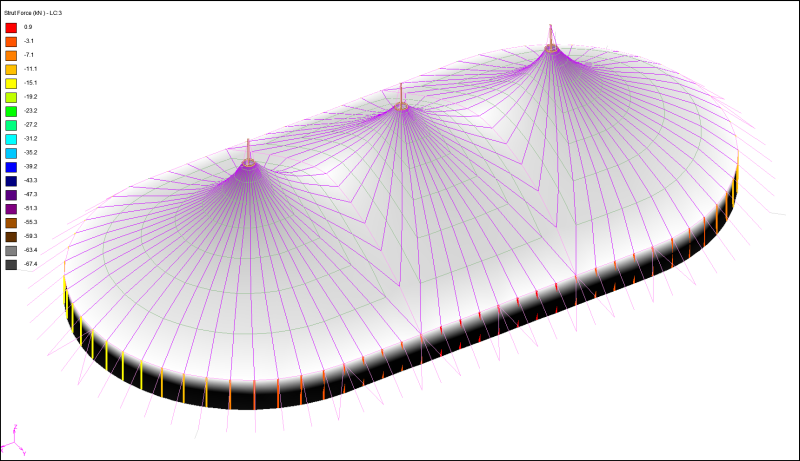 Click on thumbnails to load large images. 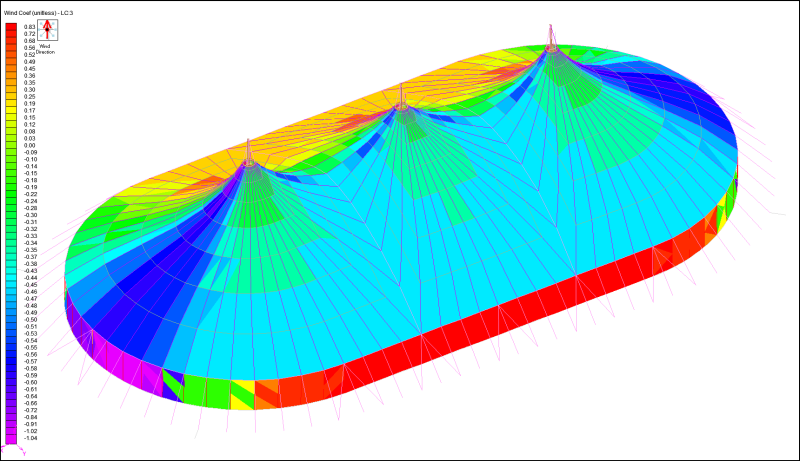 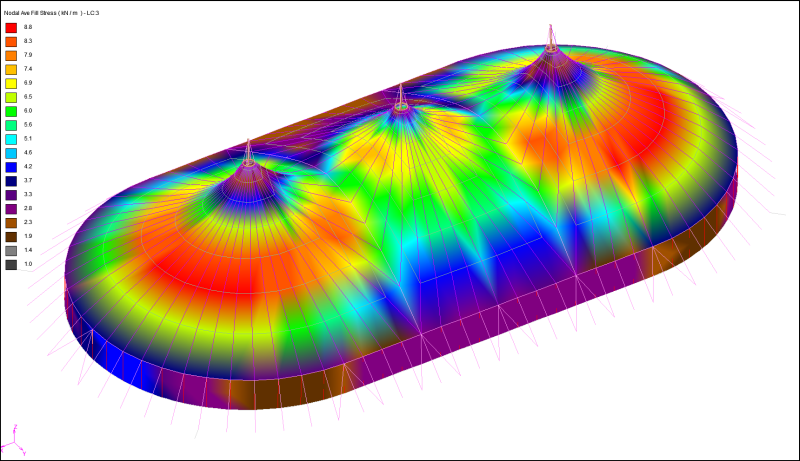 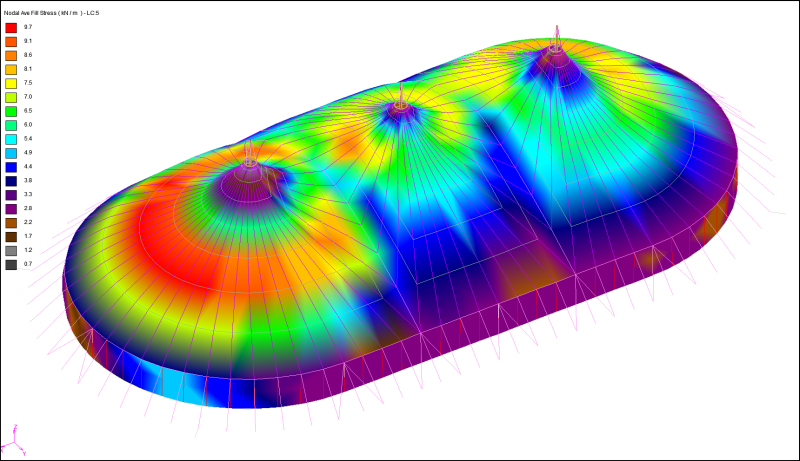 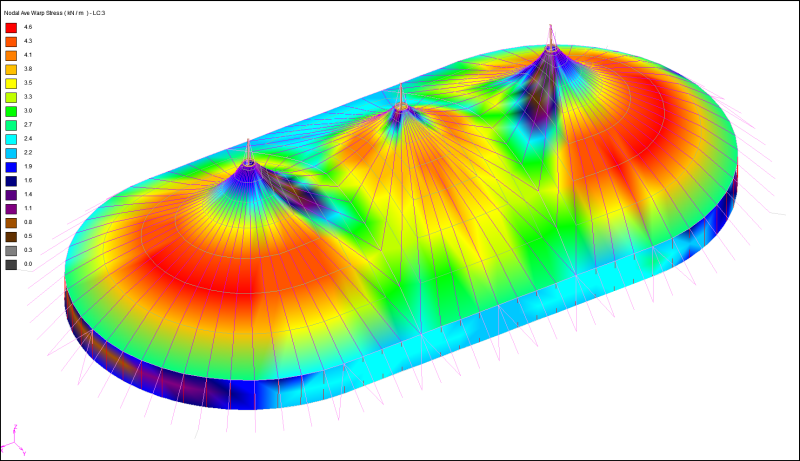 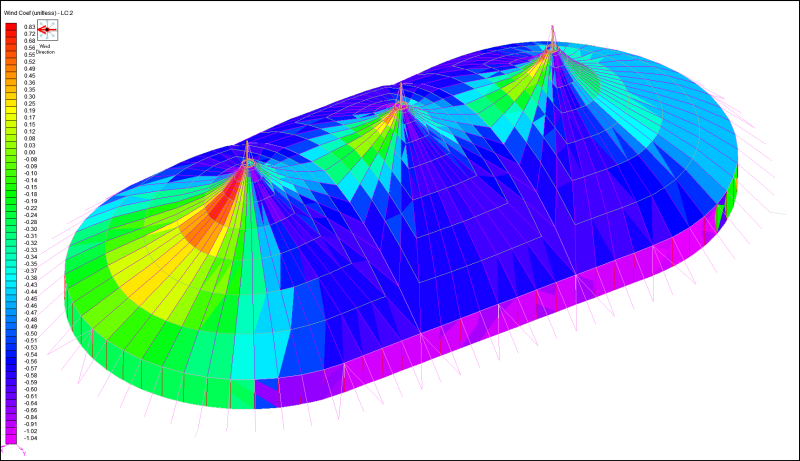 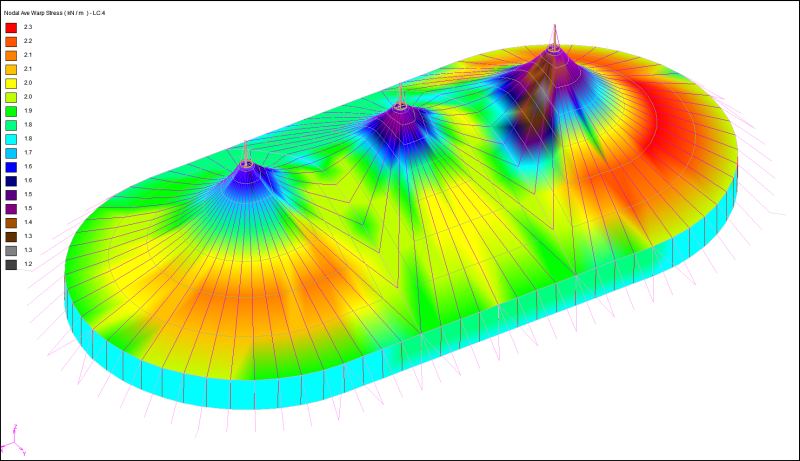 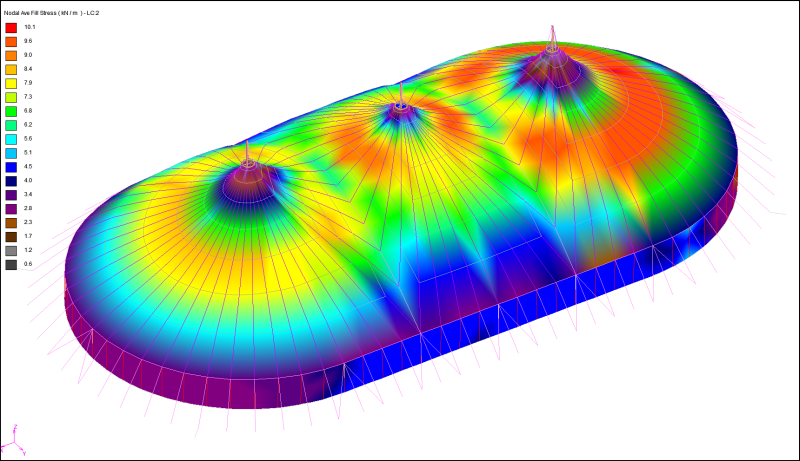 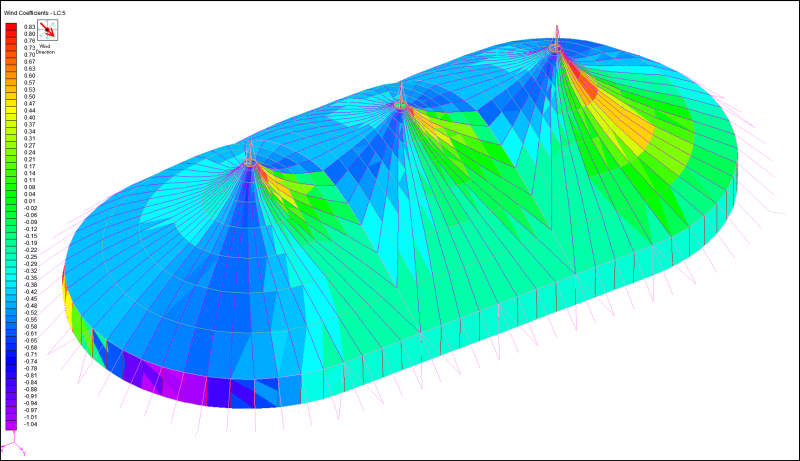 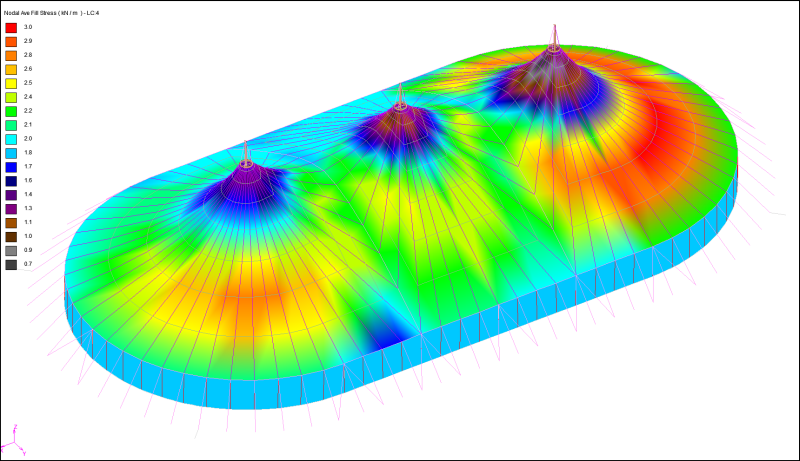 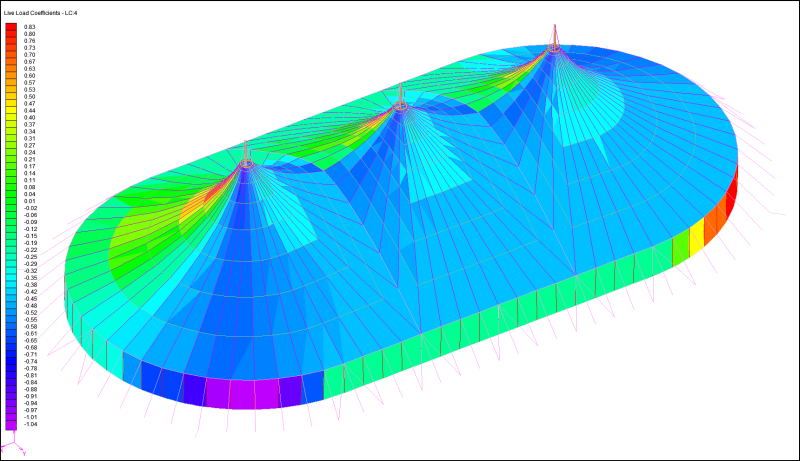 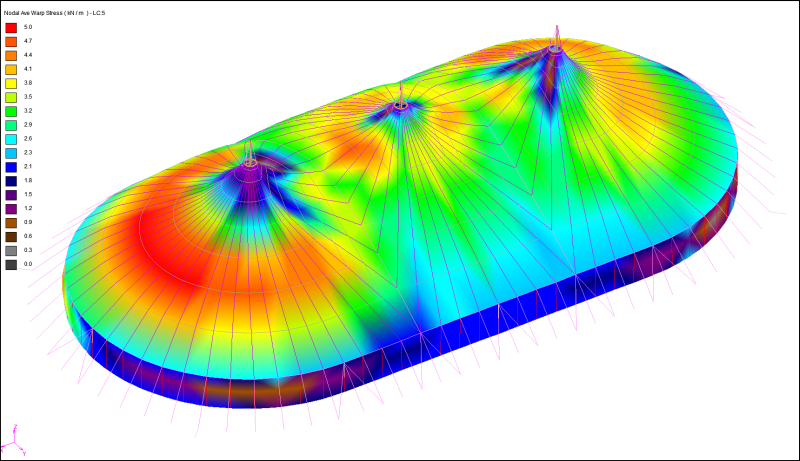 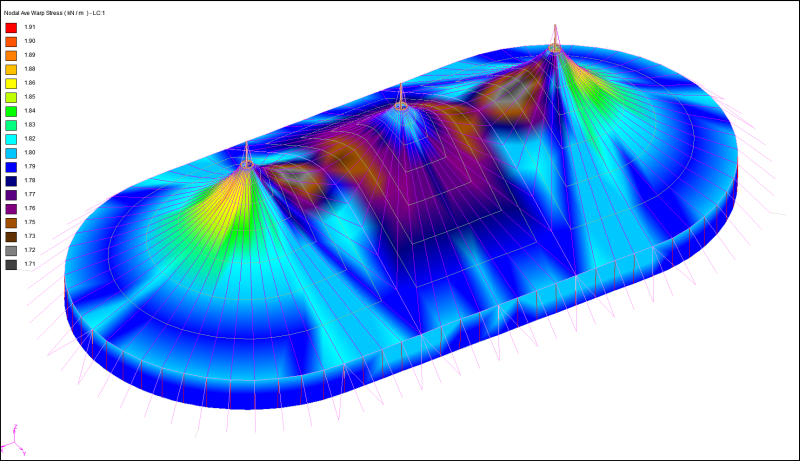 Created with NDN Membrane - The Finite Element Non Linear Analysis software by Martin Brown.